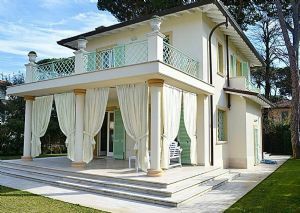 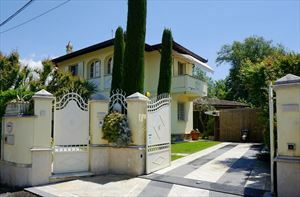 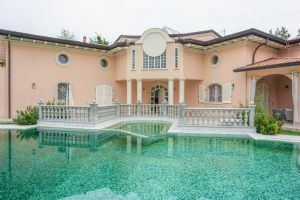 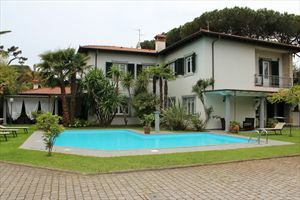 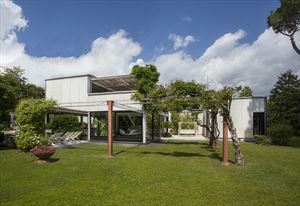 A detached villa (250 m2) with a garden located in a quiet, restful place in the area of Caranna in Forte dei Marmi, about 1000 meters from the sea. 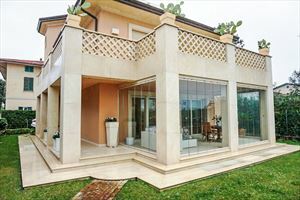 The ground floor has a terrace, entrance hall, a spacious living room with fireplace, dining room, kitchen with dining area and an independent exit to the terrace, double bedroom, bathroom with shower, single bedroom with bathroom with shower, storeroom. 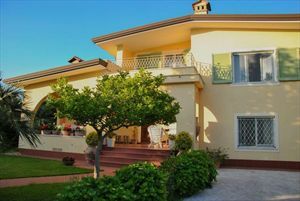 Upstairs are two double bedrooms with balconies and bathrooms with showers; bedroom with twin beds with private bathroom with shower. 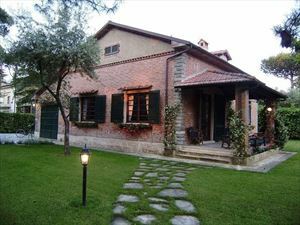 The villa is provided with air conditioning, satellite TV, Wi-Fi, automatic gate, parking, automatic irrigation system in the garden.